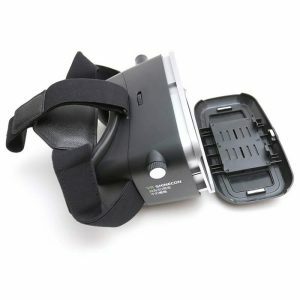 VR Shinecon Virtual Reality Glasses headset is the next big thing in immersive entertainment and education. Feeling like you’re really part of a game, “traveling” to new destinations without leaving your home and learning new skills from your couch are quickly becoming a reality. 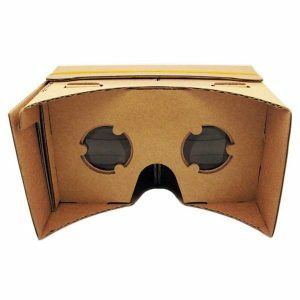 Just a few weeks ago, I read an article about doctors who used Google Cardboard to help save a baby’s life by practicing a delicate surgery using a VR headset. 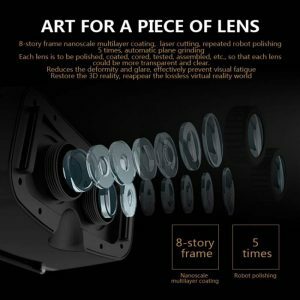 There are several very inexpensive Google Cardboard compatible viewers that are priced at less than $25, but the VR SHINECON Virtual Reality Glasses are worth that extra $10. 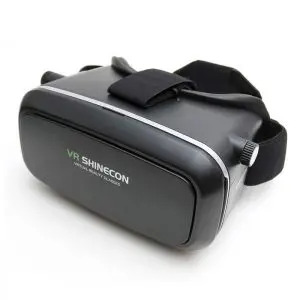 Instead of a DIY folding viewer made of cardboard, the VR Shinecon Virtual Reality Glasses is a plastic headset with covered padding, and an adjustable head strap. The front of the headset has a detatchable magnetic cover that can be removed if the 3D app needs to use your smartphone’s camera. The whole front cover of the headset flips down to reveal the smartphone holder. On both sides of the headset are knobs that extend the front section of the headset to aid in image focusing. In the image above, you can see that the front of the headset is completely extended. 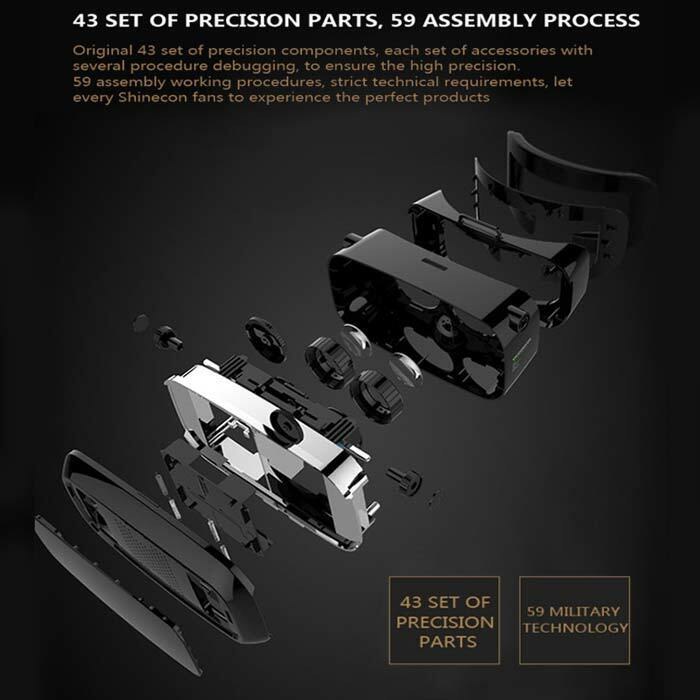 Normally the silver colored section is flush with the main body of the headset. In the top center of the headset is the pupil distance adjustment knob. 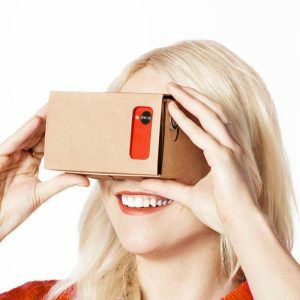 Rotating the knob will change the distance of the headset’s lenses. In the image above, the lenses are close together. They are comfortable (if you don’t wear glasses or have frames that are not more than 5 inches wide. The head strap lets you wear the headset without having to constantly hold it up to your face like the cheaper cardboard viewers. VR Shinecon Virtual Reality Glasses works with all major VR Apps present on app store and play store. VR Box Pro is a cheaper alternative, but VR SHINECON’s quality and experience is far superior and on the premium side.